In an earlier post, “Yiddishized Enumerative Intonation” (November 6, 201), Y-H-B raised the question regarding a peculiar intonational pattern in contemporary American English involving items in an enumerative series. Since this pattern in the intervening seven years has become almost pervasive, particularly in female speech, one needs to examine it in semiotic terms, whether there is something iconic about it sensu stricto, i. e., similarity between sign and meaning). The rises and falls that accompany enumeration in a series (typically, consisting of more than two items) are significant because the rise is the physical manifestation of what is meant in locutions like “to raise a question” and is the linguistic analogue of what is meant by OSTENSION, i. e., the “display” of some content for examination or consideration. This enumerative intonation is exactly what all languages also display in interrogative intonation. When one asks a question, one is linguistically offering a content for consideration without the certainty of a statement. The use of the verb “to raise” with the direct object “question” in many languages (including Y-H-B’s “native languages, Russian Japanese, and English) shows that the idea of the action associated with querying is metaphorized such that the trope is an index of the iconic relation between the linguistic means (rise of pitch) and the discourse meaning. This answers the question posed in the title hereinabove affirmatively. Languages have a variety of means to express emphasis, including repetition, lengthening of vowels, raising and lowering of normal pitch, pleonasm (and other species of hypertrophy), etc. 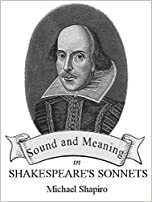 In English the typical alliterative phrase one finds in paronomastic constructions (e.g., “through thick and thin”) is particularly effective because it utilizes the poetic principle of similarity amid difference to seal the semantic bargain. “Done and dusted” is to be heard in British English but has yet to attach itself to cis-Atlantic speech. It’s just a matter of time.